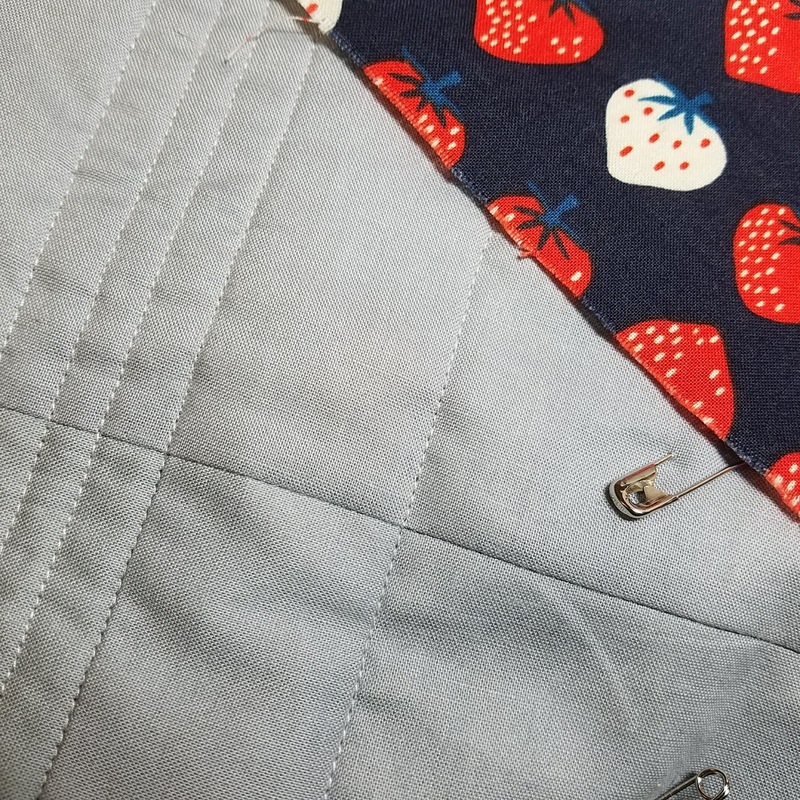 I'm not that motivated to blog about my quilting when I'm working on something that is going slow!!! 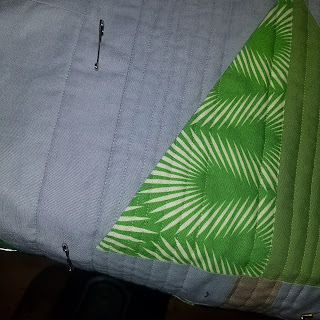 There are only a few ways you can take an interesting picture of that new line of sewing you added to all the other straight lines! But I have made a bit of progress on my Up North Quilt so I'm going to share it. All of my sewing time has been spent on this so this is all I have to share right now. I will say I'm excited about the backing I am using. I am obsessed with everything strawberry but not drawn to blue most of the time. 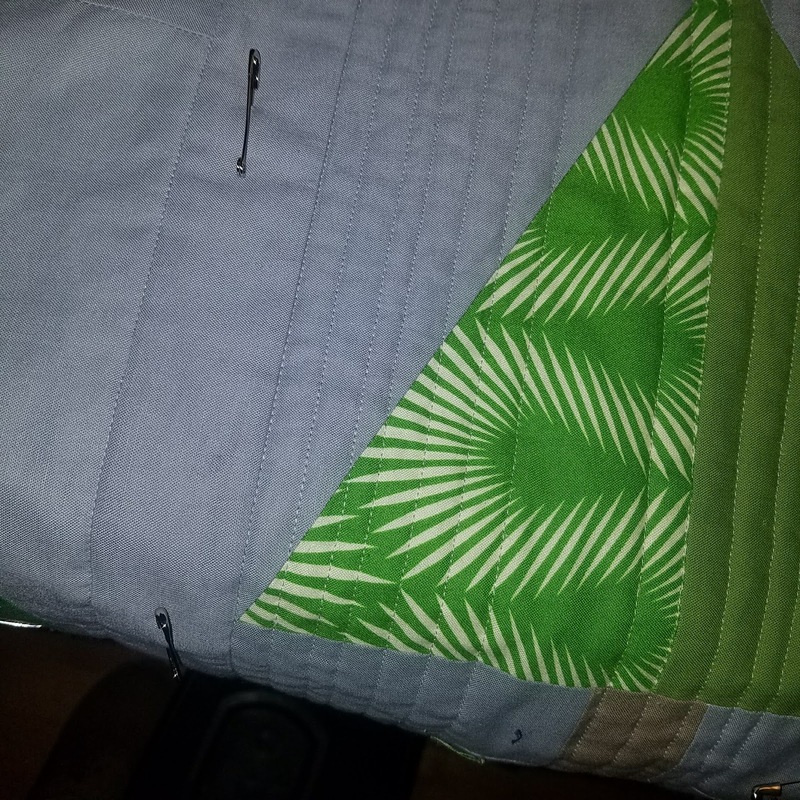 But I think this print is perfect for this quilt. I realize this is a risky backing because it is so difficult to get lined up but since it is only for me I am fine dealing with a few wonky lines that add character. I do have a few ideas for other blog posts but haven't had time because I'm working on another project. 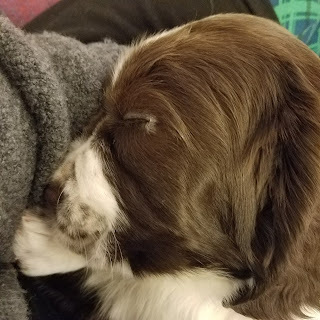 More about that one soon! 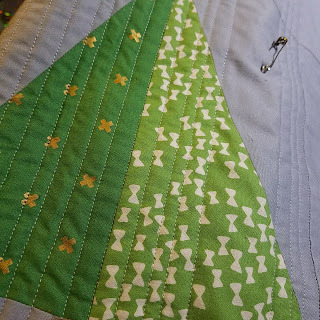 Quilting takes a long time. Which is why so many of us avoid it. You quilt looks great. 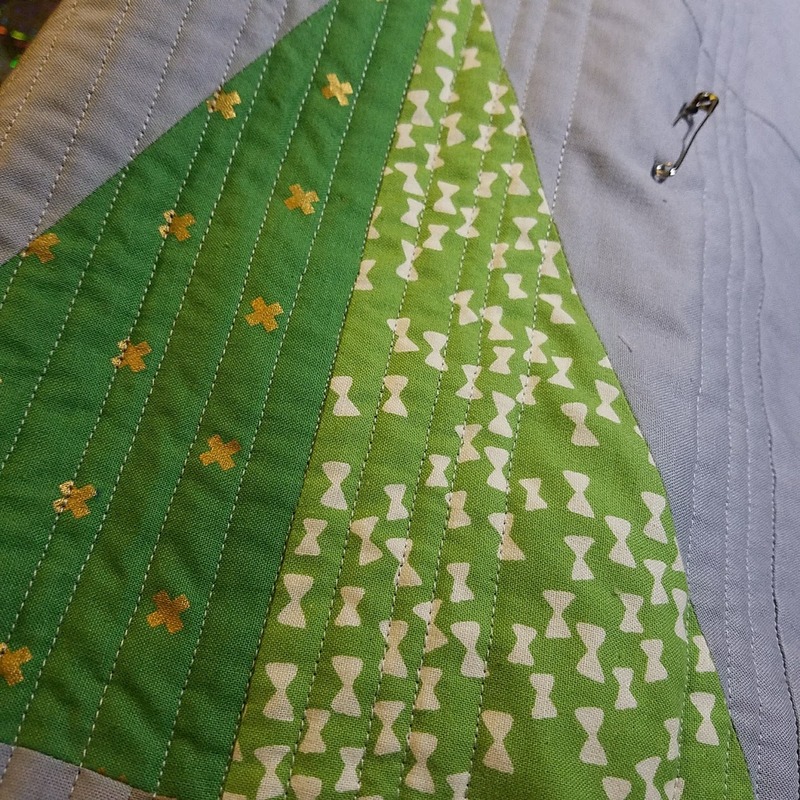 I have the green fabric with gold crosses you share in your top photo and I can never figure out what to do with it. It looks great paired with the other green and with grey. It's giving me thoughts. Quilting is definitely time consuming but I know I will be happy with the outcome in the end! I'm glad this got you thinking! I'm normally not a gold person but I love all of the C&S basics.